We’ve just started a new year, and brands have been having some brilliant sales, as well as some brands releasing some great new lines. Here are some more releases from some of the best brands in Boxing, MMA, Muay Thai and Kickboxing. 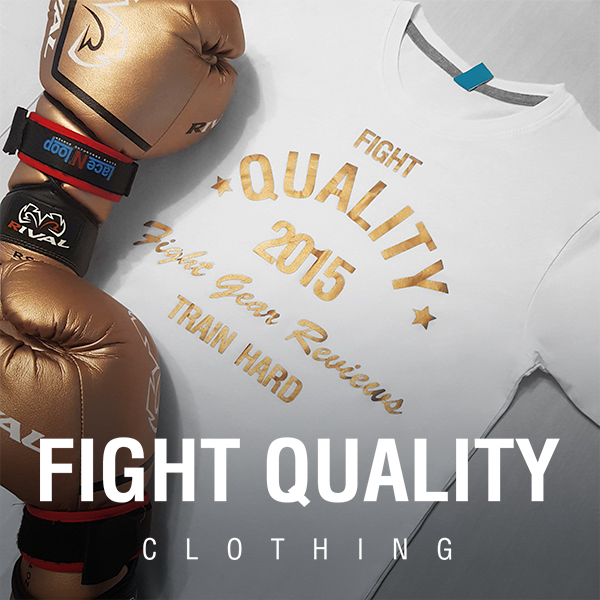 Worried you’ll miss when your favourite fight brand releases an amazing new line of gear? We bring you a monthly round-up of the latest fight gear ranges released by all of your favourite brands, so you can see all the best new fight gear all in one place. Whether it’s for Boxing, MMA, Kickboxing, Muay Thai or other combat sports, make sure you keep up to date with the latest gear and equipment each month. Check out the other New Fight Gear round-ups here. Clicking on each image will take you directly to where you can buy the gear. See our reviews of other Bad Boy equipment. See our reviews of other Blitz equipment. See our reviews of other Hayabusa equipment. See our reviews of other InFightStyle equipment. See our reviews of other Revgear equipment. See our reviews of other Wicked One equipment. That’s it for now, but make sure you sign up to emails so you don’t miss next month’s round-up, or any of our other great articles and reviews. Any new products we missed? Planning on picking up any of the new gear released this month? Let us know in the comments below!